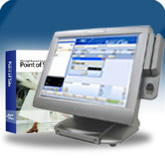 The Microsoft Point of Sale general retail packages combine the Microsoft Point of Sale software with quality point of sale hardware components. These packages are best suited to small, single store retailers. 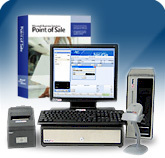 The Microsoft Point of Sale software is an easy-to-use point of sale application that enables you to track sales, inventory, customer information and improve customer loyalty. 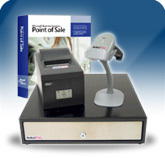 Designed to replace a cash register, Microsoft Point of Sale saves time and money, automating stores at an affordable price while adding many vital features that will assist you in taking tight control of your business empowering you to make smarter business decisions.